Last Saturday, I looked in my knitting box and realized two things: (1) the same three projects had been sitting in it for at least six months, and (2) all three were thisclose to being finished. 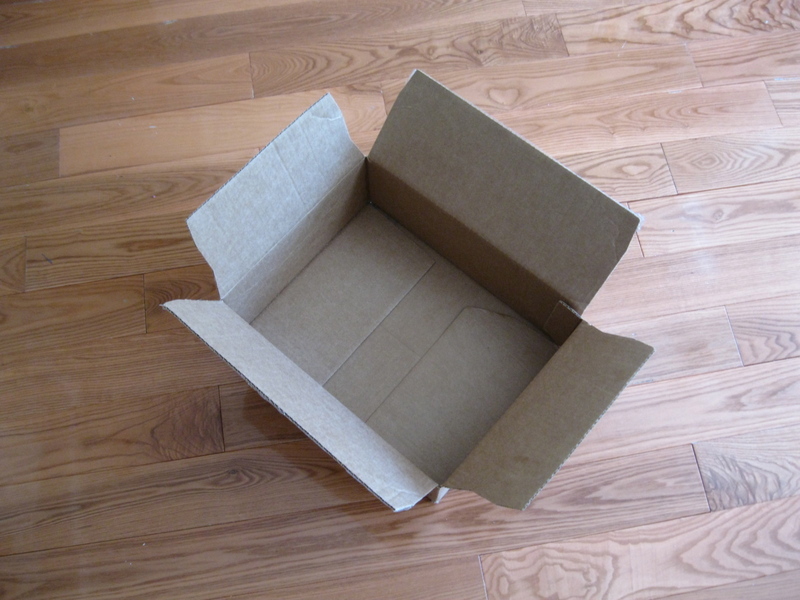 If I just sat down and did the simple work that each needed (but which I’d been putting off for various reasons), I could clear out my project box and fill it with something new. I vowed that this would be the week that all three projects moved into the “finished” section of my Ravelry page, and I got to work. First up: a pair of “Cozy Little Toes” baby socks that I’d decided to knit sometime in the spring because I had a small amount of Trekking sock yarn left over from a project five years ago and wanted to use it up. This was the project that really should not have been hanging out in my knitting box for months on end; literally the only thing I had to do was graft the toe together on one of the socks. That’s it. Eighteen stitches grafted—under 10 minutes of work—two ends woven in, and the socks were done. 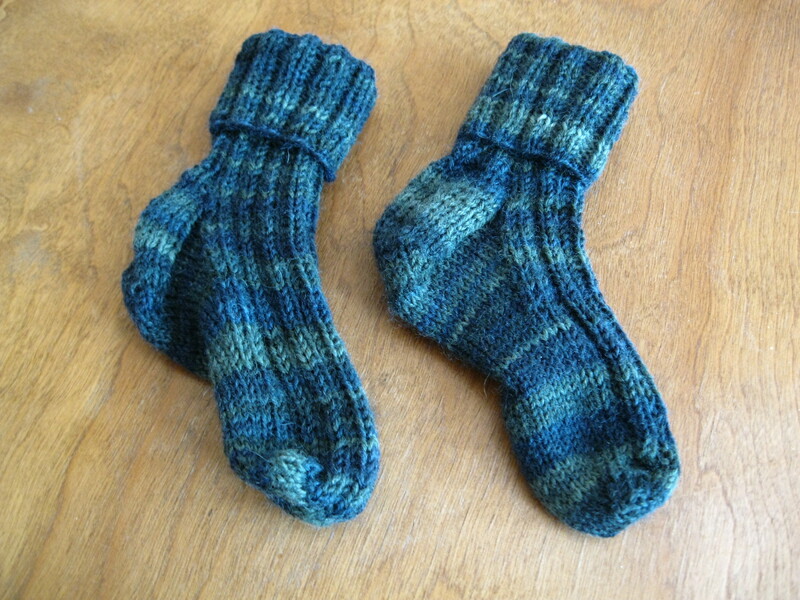 Now they can sit in my “I’m sure someone I know will have a baby soon and hand-knit socks are always a good gift” box. Next: a pair of adult socks (Susan B. Anderson’s pattern) that I started knitting on a snow day back in late January when our office was closed. Casting on a pair of socks seemed like such a “snow day” thing to do: I remember sitting in my living room with a cup of coffee, knitting and watching the snow fall heavily outside my bay window. It was quaint; I probably Instagrammed it. I decided that the socks would be a birthday gift for my friend Laura, which meant I had about seven weeks to finish them. No sweat: previous experience has taught me that I can knit a sock in under a week. But I very quickly discovered that these socks were cursed. Not long after finishing the cuff and starting the leg of Sock #1, I realized that everything seemed kind of … loose. Like eighties slouch-sock loose—not really Laura’s style. But maybe it was just my imagination? I kept knitting. (MISTAKE) But by the time I got to the heel, I could no longer deny that something was wrong. Maybe the needles felt kind of thick? I got out my needle gauge and discovered that I’d been using size 2s instead of size 1s, which meant the whole thing was too big and too loose. Sock #1 got ripped apart, set aside while I cooled down, and finally restarted on the correct needles. I finished it when visiting my aunt and uncle in Florida at the beginning of March, meaning I still had just about a week before Laura’s birthday to knit the second sock. Except … Sock #2 didn’t go much better. I had the right needles, but this time I somehow forgot everything I knew about sock construction and wound up with half the number of stitches I needed for the foot. I can’t explain it. Well, actually, I can (sorry, this is technical): when I got to the point of starting the gusset decreases, I should have checked the pattern to verify that I was doing the correct number of decreases in the right places. But I was watching something on Netflix, and I’ve made at least a dozen pairs of socks before, and I know how to do gusset decreases, so why bother exiting full screen view just to look up the pattern? (MISTAKE) So I knit on, decreasing four times every round instead of two (why I did THAT, I really can’t explain), and soon noticed that the sock progressed from an adult-sized leg and heel to a toddler-sized foot. RRRRRIP. The socks were not done in time for Laura’s birthday. But they could have been done not long after, except that I was frustrated, and busy with work, and by then I’d missed her birthday anyway, so why not make them her Christmas present instead? I picked Sock #2 up again early in the summer and told myself I should get it done before I left for my trip to China, so I’d come back to a clean slate. And in the week before I left, I quickly and happily knit away—knitting so quickly and so happily that I knit the foot of Sock #2 an inch longer than that of Sock #1. I’ve never measured Laura’s feet, but I’m pretty sure they’re more or less the same size. Too frustrated to deal with fixing my mistake in the midst of getting ready to leave for China, I threw the f%@*ing sock in my knitting box, and there it stayed until this week. On Tuesday morning, I got up early and calmly undid the extra inch in the foot, worked the toe decreases, and grafted the toe closed before I left for work—finally shutting the book on this project, seven months later than planned. Last: a gray “mistake rib” scarf for myself, begun on January 2 with Madelinetosh yarn that I bought at Loop in Philadelphia that very day. I was so excited about this scarf that I cast it on the same day I bought the yarn. Sounds like I should have gotten it done pretty quickly, right? Because I was so excited? But no. Almost nine months later and the scarf was still on the needles. And really, I worked on it a lot. Any night after dinner when I wasn’t cursing at Laura’s socks, I was watching Netflix and mindlessly knitting the scarf. This scarf has gone with me on every trip I’ve taken in 2015; it should have its own frequent-flyer account. 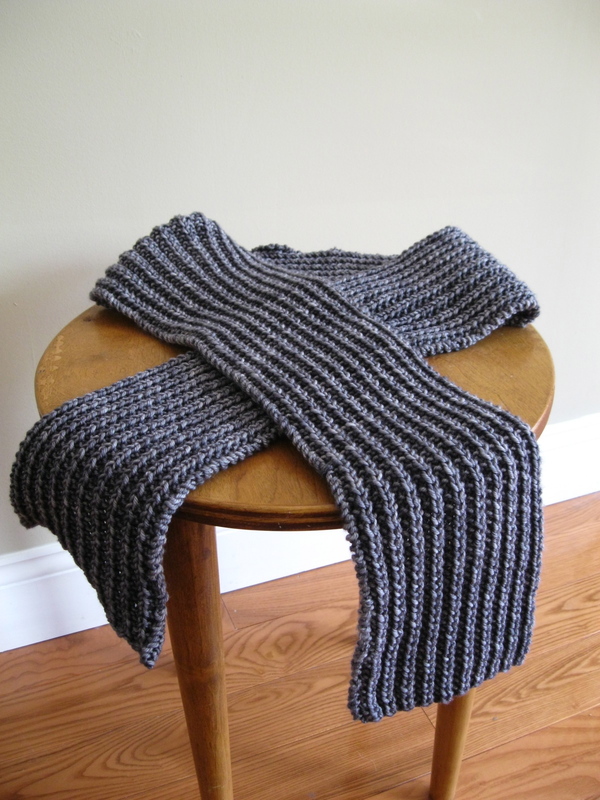 But even though I knit and knit and knit some more, the scarf never seemed to get any longer. Or the yarn never ran out. One of the two. It was clearly a magic scarf that was never going to end, and I was destined to spend the rest of my life in a black hole of knitting. Except that last Saturday, I looked in the scarf’s project bag and realized that the end was, indeed, in sight. Somehow, I had just a handful of yarn left; the rest of it had all been turned into five feet of tiny, boring, repetitive mistake rib. (Which clearly got its name from the fact that committing to this interminable pattern is a huge mistake.) I worked on it as much as I could during the week and got closer to finishing. This morning, I poured myself a second cup of coffee, turned on an episode of Property Brothers, and completed the last couple of rows as the Brothers transformed a Victorian wreck into a Better Homes and Gardens-worthy masterpiece. So my knitting box is totally empty for the first time in 2015 and now it’s time to pick a new project. My guess is that it will be something I can finish fast. Hmmm. I have a knitting bag. Maybe I could pass it on? And how about the REAL CHALLENGE–tackling your mother’s material! !